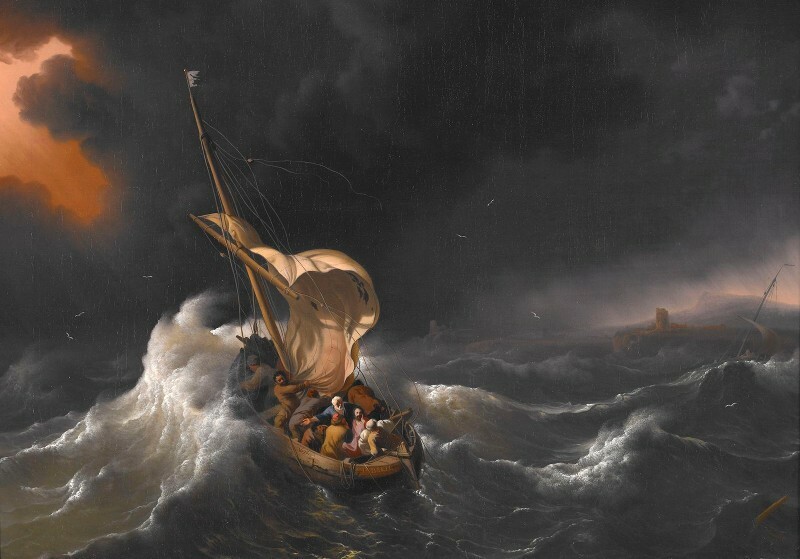 “Christ in the Storm on the Sea of Galilee,” Ludolf Backhuysen, 1695. 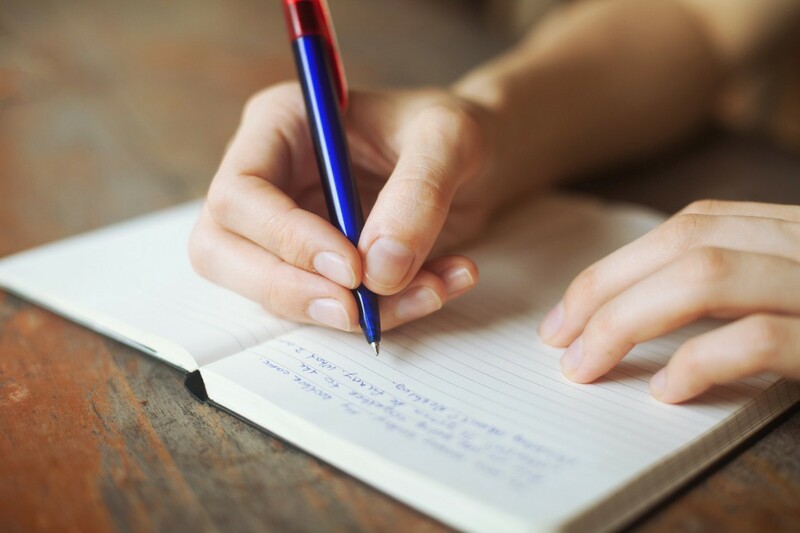 Writing and I have had a tumultuous relationship, and throughout the course of our affair, I’ve had the tendency to oscillate between emotional extremes. One moment, I’ll obsess over something I’ve just written, convinced in the most private chambers of my heart that I’m the next William Shakespeare. The next, I’ll regard whatever project I happen to be working on with contempt, convinced I’m nothing but a fraud, that it’s only a matter of time before the world sees me for the hack I truly am and it’s all over. Either extreme left unchecked will wreak havoc on an artist’s creative aspirations, and could even shipwreck them altogether. Excess pride leads toward stagnation and a refusal to acknowledge thoughtful criticism, for how can one perfect something if, in their eyes, it’s already perfect? On the opposite end of the spectrum, excess despair leaves one feeling as if there’s no point, that they might as well give up while they’re still ahead. Over the years, I’ve come to understand that emotions are fickle, that there’s no logical reason for why one moment you should feel one thing and the next something else entirely. Amidst the billowing gale of conflicting desires, passions and the ever-shifting perceptions of my artistic value, I’ve realized that in the end, how I feel is really rather pointless. All that matters is whether or not I write. When I’m feeling haughty, high and mighty, I acknowledge the emotion, set it aside and continue writing. When I’m feeling dejected, depressed and full of despair, I acknowledge the emotion, set it aside and continue writing. I write, I write and I write. I write through the good feelings. I write through the bad. The willful choice to act regardless of this transient passion or that becomes a moderating force, a lighthouse that illumines the way forward in a dark and unstable sea. I have no control over how I feel. But I do have control over how I act in spite of how I feel. If you’re an artist of any stripe, do what you love to do. Do you believe that you’re invincible, that you and the vision you carry around inside your head have the capacity to transform the world? Recognize the feeling, let it go and make art. Do you believe that you’re a hack, that you have nothing of value to share with the world and that you might as well not even try? Recognize the feeling, let it go and make art. Emotions will come and emotions will go. Like the explosive gusts of a hurricane or a typhoon, they’ll buffet you from every side, threaten to bowl you over where you stand. Fine. Let them come. Do what you love to do anyway. Stand your ground. Do what you were made to do, always do what you were made to do, and even in the midst of chaos, you’ll find peace. Does Reading About Evil Make You Evil? I love dark fiction. I’ve always been fascinated by the problem of evil, and literature that grapples with diabolical themes gives me an opportunity to explore this very difficult subject in all of its many facets. I get to enter into the minds and souls of those who do evil, and am able to witness first hand the torment and destruction wrought by their wicked hands. Is there something wrong with me? Is my fascination with evil the sign of a disturbed and demented mind? Critics of dark fiction argue that stories which address sinister themes outside of a strictly didactic context necessarily glorify evil, and conclude that the act of reading such literature is, by extension, also evil. Conversely, proponents of dark fiction argue that evil is an inescapable part of life, and that we should not be afraid to tell the truth about it in literature. Which of these two voices should we listen to? A distinction must be made. Critics of dark fiction make the mistake of conflating two separate and distinct desires. They argue that because one hungers for an understanding of evil, that they must therefore hunger for evil itself. This is a non sequitur. Is a police officer evil for his fascination with the criminal mind, regardless of the fact that his motivation stems from a desire to prevent further criminal activity? To the contrary, his desire to know evil is rooted in a desire to do good. FIctional characters enable us to know the mind of evil without becoming evil. A desire to understand is an inextricable component of our human nature. We don’t just want to know what people do. We want to know why. What motivates someone to make certain choices? Why does one man decide to save a life while another decides to commit murder? 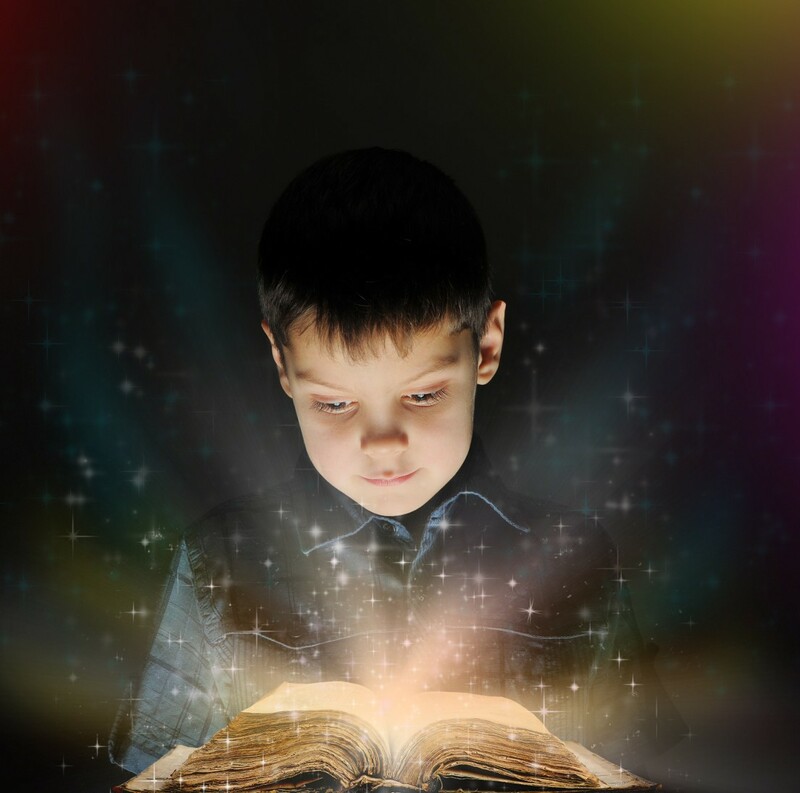 By entering the mind of a fictional character, we can discover answers to these questions. We are privy to their thoughts, their emotions, they’re motivations. We aren’t just exposed to the evil deeds they commit. We’re exposed to the rationale behind those evil deeds. This is very important, because only when we understand the causes of evil can we ever be in a position to do something about it. Learning about evil teaches us how to be good. One of the most potent ways to learn is by example. When we see a person act a certain way and observe the result, we take that experience with us as if it were our own. When a person’s actions have a positive outcome, we’re conditioned to emulate their behavior. Conversely, when a person’s actions have a negative outcome, we learn to avoid it. An accurate portrayal of evil will necessarily showcase the consequences of bad behavior. Sometimes, these consequences will be practical in nature. A bank robber, for example, might slip up during a heist and leave behind clues that eventually lead to his arrest. Sometimes, the consequences will be more spiritual or psychological. A character in a novel might, for example, get away with murder. But if the author has a firm grasp of the human psyche, he will, simply by knowing his character well, reveal the terrible transformation that takes place inside his mind, now irrevocably tainted. From this devastating case study, we are given an opportunity to reflect on what evil can do to us if we allow it into our own hearts. And, we witness first hand the pain and suffering that evil inflicts on others. We see lives reduced to ruin by greed and malice. We feel a deep sense of desolation and loss. We walk through a desert of despair, barren of all things good, and our hearts howl from their deepest depths for something better. Prolonged exposure to darkness makes the most miniscule act of kindness blaze like the sun. It makes us more sensitive to a right way of living. In short, reading about evil makes us better people. Encountering evil in stories reminds us that evil exists outside of stories. It’s easy to drift through life, comfortable, complacent, apathetic to the suffering of others. Unless we’ve experienced hardship personally, it’s difficult for us to sympathize with those who have. But when we encounter terrorists, thieves and murderers in fiction, we are reminded that these same criminals also exist in the real world. We are forced to confront an uncomfortable truth that we would otherwise prefer to brush aside. We are forced to watch as innocent characters weep and wail and gnash their teeth in unending agony at the hands of evildoers, and we are reminded that the same thing happens to real people. This awareness breeds empathy, which in turn breeds a genuine love for the rest of our human family and a desire to act against the injustices that afflict them. Refusing to acknowledge evil is untruthful. The world is not all pink fluffy bunnies, sunshine and rainbows. Art that intentionally ignores or attempts to sugar coat the darker realities of human life is a distortion, a twisted half-truth that is not only deceitful but dangerous. A selective view of the world through rose colored glasses enables us to look away as innocent people suffer. It allows us to pretend that the world is better than it is, that it’s ok for us to withdraw into ourselves and ignore the plights of others who are less fortunate. Don’t get me wrong. There is nothing wrong with art that zeroes in on goodness and innocence, any more than there is something wrong with art that doesn’t. A balanced outlook is essential to a healthy understanding of the world, and we need also to be reminded of all the things that are good and right. But we must never turn a blind eye to evil. We must be willing to stare it down, to meet its malignant eyes gaze for gaze. There is tragic beauty in dark literature. When characters suffer, we cry for them. When an evildoer gets away with murder, we flush with anger and outrage. A good balance of light and dark allows us to explore the full spectrum of human emotions, which in turn leads us to a better understanding of ourselves. This is why the ancients devised great epics that dealt regularly with death and loss, as well as why great tragedies like Romeo and Juliet resonate so strongly and continue to persist throughout the ages. Critics of dark fiction misunderstand us. They perceive a great multitude of maligned individuals prancing through the streets, approving of and even praising evil deeds. But nothing could be further from the truth. As lovers of dark fiction, we are those who are most sensitive to the devastating effects of evil. We are those who are most profoundly disturbed by its manifestation in the world. We are those who recognize more than anything else the terrible evil within ourselves. We are the ones who desire most of all to be better than we are. We can respond to evil in one of two ways. We can bury our heads in the sand, sing Kumbaya and foolishly hope that evil will someday pass us over, that we can somehow wish it away, conquer it simply by refusing to acknowledge that it exists. Or we can face it, study it, try to understand our adversary so that we can better prepare for the task of striking it down. Which will you choose? 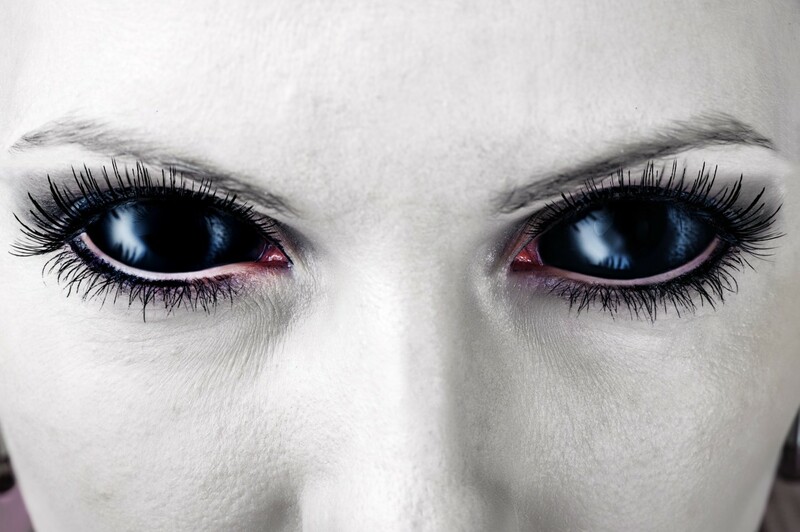 Author Jeff ColemanPosted on November 4, 2013 December 9, 2016 Categories EvilTags Arts, books, darkness, Evil, fiction, literature32 Comments on Does Reading About Evil Make You Evil?